This cartoon mug set makes the perfect gift for newlyweds or couples celebrating their first Anniversary. 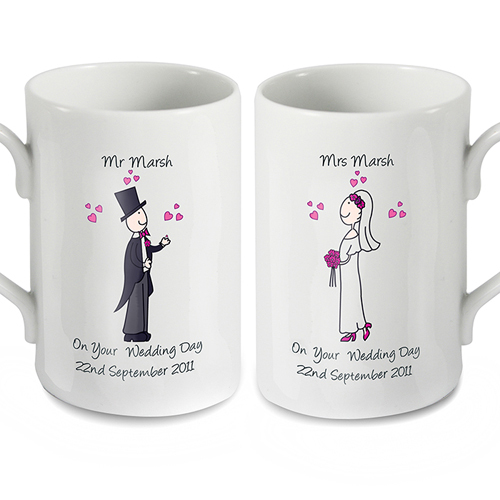 Each mug is personalised with a name on the top and with either their wedding or anniversary date underneath the fun characters. Each name can be up to 30 characters, please include Mr and/or Mrs. The occasion can be up to 30 characters, which will print the same on both mugs. The date can be up to 20 characters, which will print the same on both mugs.